On the occasion of ‘Julian Rosefeldt. Manifesto’ – the West Coast premiere of the 13-channel film installation by visual artist Julian Rosefeldt at Hauser & Wirth Los Angeles – please join us for a discussion of the work with the artist, Oscar Award-winning actress, Cate Blanchett, and Executive and Artistic Director of UCLA’s Center for the Art of Performance, Kristy Edmunds. 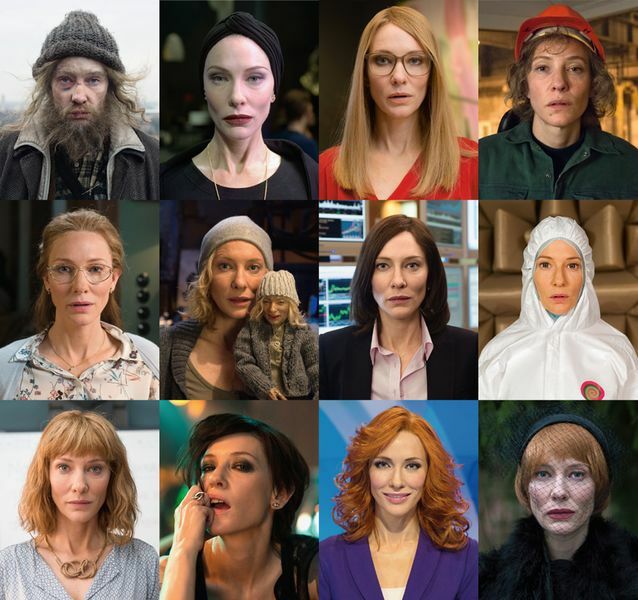 In ‘Manifesto’ (2015), actress Cate Blanchett assumes 13 different personas – from a factory worker to a television news anchor to a homeless man – performing various historical artists’ manifestos. The work pays homage to the long tradition and literary beauty of public statements made by artists, and serves to provoke reflection upon the role of the artist as an active citizen in society today. ‘Manifesto’ draws on the writings of Futurists, Dadaists, Fluxus artists, Suprematists, Situationists, Dogme 95, and other artist groups, and the musings of individual artists, architects, dancers, and filmmakers. As writer, producer, and director, Rosefeldt draws here upon the words and ideas of Claes Oldenburg, Yvonne Rainer, Kazimir Malevich, André Breton, Sturtevant, Sol LeWitt, Jim Jarmusch, and many others. This source material was often the result of youthful outrage, expressing not only the wish to change the world through art, but convey the mood and sensibility of a generation. Exploring the powerful urgency of these historical statements, ‘Manifesto’ invites us to ponder their enduring relevance and value. ‘Manifesto’ debuted at the Australian Centre for the Moving Image, Melbourne in 2015. This event is sold out. Please visit the Eventbrite page for the waitlist. 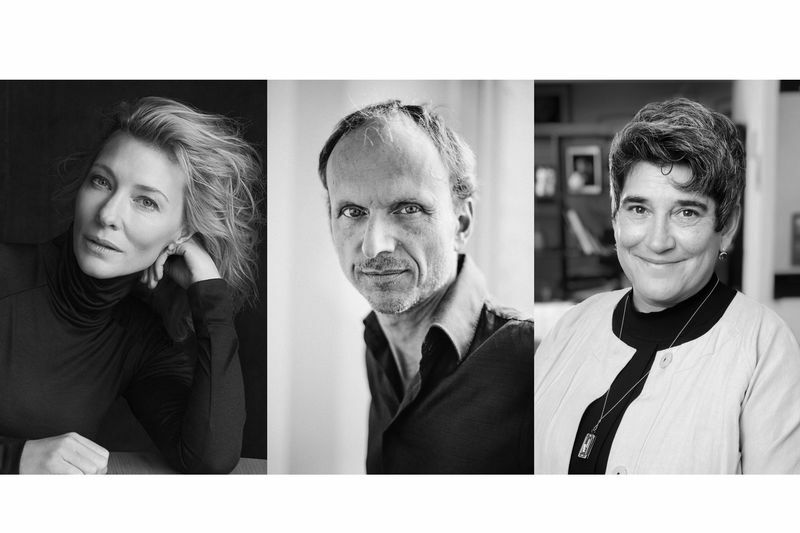 ‘In Conversation: Julian Rosefeldt, Cate Blanchett, and Kristy Edmunds’ is a part of the ‘Year of German-American Friendship’ initiative in 2018/19. The ‘Year of German-American Friendship’ is a comprehensive and collaborative initiative of the Federal Foreign Office, the Goethe-Institute, and with support of the Federation of German Industries (BDI), highlighting the decades long relationship grounded in common values, interests, and goals. The Berlin-based artist Julian Rosefeldt (born in Munich in 1965) is internationally renowned for his visually opulent and meticulously choreographed moving image artworks, mostly presented as complex multi-screen installations. Inspired equally by the histories of film, art and popular culture, Rosefeldt uses familiar cinematic tropes to carry viewers into surreal, theatrical realms, where the inhabitants are absorbed by the rituals of everyday life, employing humor and satire to seduce audiences into familiar worlds made strange. Rosefeldt is holding a professorship of Digital and Time-based Media at the Academy of Fine Arts in Munich since 2011. His works are showing internationally at museums and film festivals: Recent and extensive solo shows were held at the Nikolaj Kunsthal, Copenhagen (2017) and the HOW Art Museum, Shanghai (2017). His widely known film installation ‘Manifesto’ (2015) was presented in numerous solo exhibitions world-wide as e.g. at the Auckland Art Gallery, Auckland (2018), the National Gallery Prague, Prague (2017), the Fundación Proa, Buenos Aires (2017), the Park Avenue Armory Hall, New York City (2016/2017), the Hamburger Bahnhof – Museum für Gegenwart, Berlin (2016), the Sprengel Museum Hannover, Hanover (2016) and the ACMI – Australian Centre for the Moving Image, Melbourne (2015). Recent group shows include ‘Hollywood and other Myths,’ Tel Aviv Museum of Art, Tel Aviv; ‘Deutschland 8 – German Art in China,’ Today Art Museum, Beijing (2017) and ‘Wolfsburg Unlimited,’ Kunstmuseum Wolfsburg (2016). Collections including his works, amongst others, are the Goetz Collection (Munich), Nationalgalerie (Berlin), Burger Collection (Hong Kong), the Museum of Modern Art (New York), the Hamburger Bahnhof – Museum für Gegenwart (Berlin) and the CIFO ­– Cisneros Fontanals Art Foundation (Miami). Cate Blanchett is an internationally acclaimed award-winning actor and director of both stage and screen. A recipient of two Academy Awards and three Golden Globes, her contribution to culture has been globally recognised. In June 2017, she was named a Companion of the Order of Australia for services to the performing arts and as a supporter of humanitarian and environmental causes, and in 2012 she was appointed Chevalier of the Order of Arts and Letters by the French Minister of Culture, in recognition of her significant contributions to the arts. She has also been awarded the Centenary Medal for Service to Australian Society through Acting, and holds Honorary Doctorates of Letters from the University of New South Wales, the University of Sydney and Macquarie University, in recognition of her extraordinary contribution to the arts, philanthropy and the community. She is also a patron of the Sydney Film Festival and an ambassador for the Australian Film Institute, and in 2016 she was appointed a UNHCR Global Goodwill Ambassador. This year, she served as Jury President for the 71st Cannes International Film Festival. As an artist, curator, artistic director and frequent keynote speaker internationally, Kristy Edmunds has a reputation for innovation and depth in the presentation of contemporary performing arts. In collaboration with master artists, she has curated unique platforms that survey the breadth of their artistry, while placing equal emphasis on the support and commissioning of new work by some of today’s leading performance creators across disciplines. Edmunds was the Founding Executive and Artistic Director of the Portland Institute for Contemporary Art (PICA) and the TBA Festival (Time Based Art) in Portland, Oregon. She was the Artistic Director for the Melbourne International Arts Festival from 2005 to 2008, and was the first to serve an unprecedented four-year term. Upon completion she was appointed as the Head of the School of Performing Arts at the Victorian College of the Arts/University of Melbourne, and after one year became the Deputy Dean for the College. Concurrently, Edmunds worked as the inaugural Consulting Artistic Director for the now critically heralded Park Avenue Armory in New York (2009–2012). Curating the initial three years of programming, she established the formative identity of the PAA with commissioned work by artists such as Ann Hamilton, the final performance event of the Merce Cunningham Dance Company; Tom Sachs, Janet Cardiff, STREB, Ryoji Ikeda, and the Tune-In Festival with Philip Glass and many others. Edmunds’ robust career has included work as a visual artist, an independent filmmaker, a playwright, a director and a teacher. She holds a bachelor’s in film direction from Montana State University and a master’s in playwriting and theater direction from Western Washington University. In recognition of her contribution to the arts, Edmunds was bestowed with the honor of Chevalier (Knight) de L’Ordre des Arts et des Lettres by the French Government in 2016. She is married with two sons, and now calls Los Angeles home. She is the Executive and Artistic Director of UCLA’s Center for the Art of Performance, one of the nation’s leading presenting organizations for contemporary performing artists.